There are two types of olive oil fraud. Learn the difference between olive oil purity and olive oil quality and how to find a good olive oil. You may have seen articles online claiming that a high percentage of olive oil is "fake". Most of these posts are just copied and pasted by bloggers who have little understanding of what olive oil fraud really means. There are 2 ways that olive oil can be fraudulent. It could have problems with purity, or quality. Olive oil is actually the juice of an olive. Any olive oil that you buy in a store should be 100% olive and not mixed with any other oils such as seed, vegetable or nut oils. Olive oil purity can be tested with good accuracy and the test results do not change with the age or handling of the sample. Since the early 1990s, we here at the NAOOA have been testing HUNDREDS of olive oils each year collected from supermarkets. The test results consistently show that more than 98 percent of the olive oils available in U.S. supermarkets are authentic and NOT adulterated with lower-grade olive oils or seed or vegetable oil. After the olive oil is extracted from the olives, it is graded and assigned a quality level of extra virgin, virgin, etc.. Quality of an oil can change over time and depends on storage conditions. Heat, light and air can degrade an oil which was extra virgin when it was bottled. 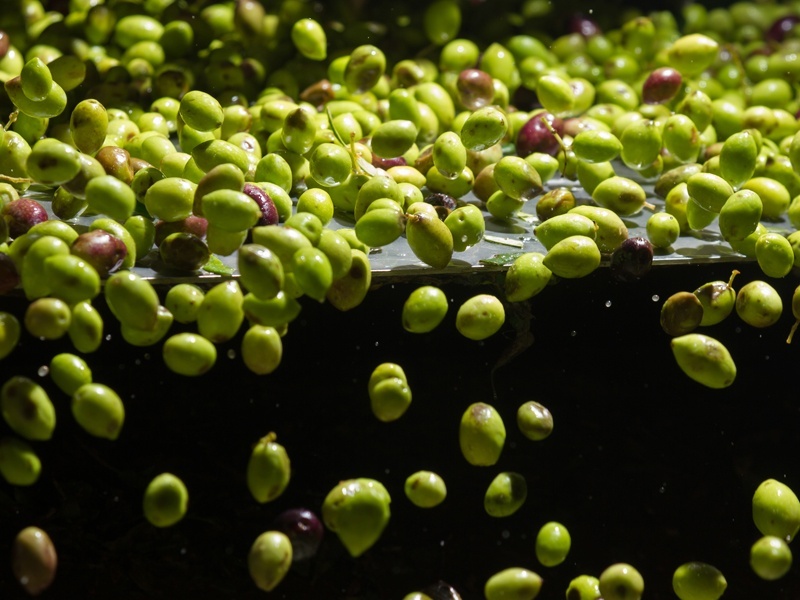 Quality is difficult for olive oil producers to manage. After the oil leaves their hands and is in the supply chain, they have little control over how their product is handled. We do not consider an oil to be "fraudulent" if it was extra-virgin when bottled but the quality degraded due to poor handling or age. Consumers with concerns about quality should make sure to look at the "best by" date on the bottle. Avoid buying olive oil that is stored in a sunny location or is exposed to heat. And certainly avoid any bottles that are dusty! Once you get home, you can perform a simple taste and aroma check. If you find problems, we encourage you to call the customer service number on the bottle or return the olive oil to the store. Several publications make lists of olive oils and recommendations on what to buy. These lists are based on taste tests. They are not a good indicator of fraud or purity. A taster cannot taste adulteration. Purity can only be measured in a lab. A combination of tasting and lab tests should be used to assess quality. Keep in mind that olive oil is a farmed product and the fruit changes from year to year. Like wine, a 2010 vintage might taste different from 2017 vintage. Any lists of recommended olive oils should be updated yearly. Overall, you should buy what you like and what fits your budget. We have found that fraud is rare on supermarket shelves where olive oil is concerned. If you still feel confused about olive oil fraud, consult our list of certified olive oils that are tested twice a year in a certified laboratory.